Offers interactive color touch screen, straight stitch plate with sensor technology and side-motion sewing capability for creating larger, more beautiful stitches. This machine is specially designed to appeal to quilters. 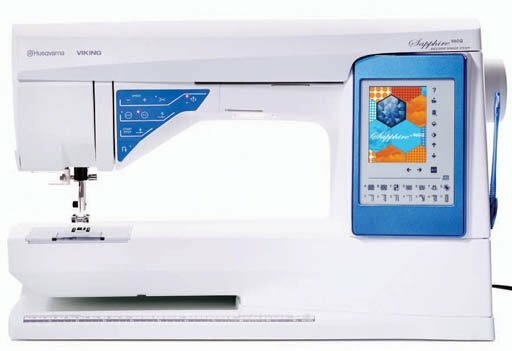 The Sapphire 965Q is THE must-have sewing machine for the serious quilter.